Dublin is a popular destination for students to pursue their university studies or taking part in a language school. The demand for accommodation is steadily increasing. The Global Student Accommodation Group (GSA) and Harrison Street Real Estate Capital have thus decided to undertake a complete renovation of the “Mill Street House”, which had held up its appearance from the 1800’s. The construction plan was granted in September 2015, with the aim of creating space for a total for 406 beds. 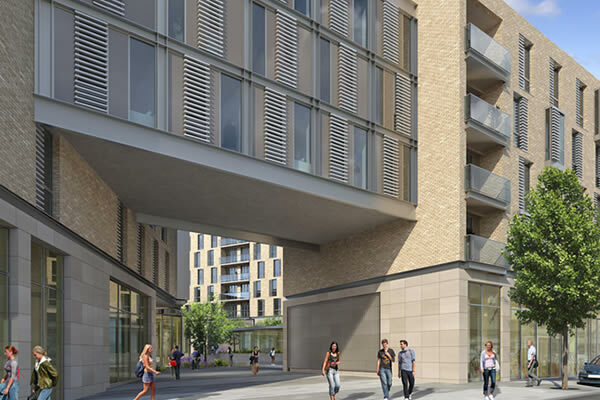 Further, the refurbishment of the area will have a mixed use of student accommodation, office and retail spaces, as well as restaurant and shop developments, totalling 18,796 sq.m gross floor area. The project is granting hundreds of working occupations as well as the further possibility for full-time employment once the residence is in service. The construction project at Mill Street differs from other student accommodation as it involves long-term maintenance and surveillance of the GSA group. It is a large scale development and the first of its type in Dublin.